Kelly began his career in 1989 while attending the University of Southern Illinois – Carbondale. As an Architectural Technician for Lovelace and Associates in southern Illinois, Mr. Thompson provided design and construction documentation of commercial and residential structures. Concurrently, he held the position of Rifle Squad Leader in the Illinois National Guard where his responsibilities included training of subordinates and mission planning. His collegiate achievements include an academic GPA which earned him a place on the Dean’s List, as well as an AIA design award in 1991. 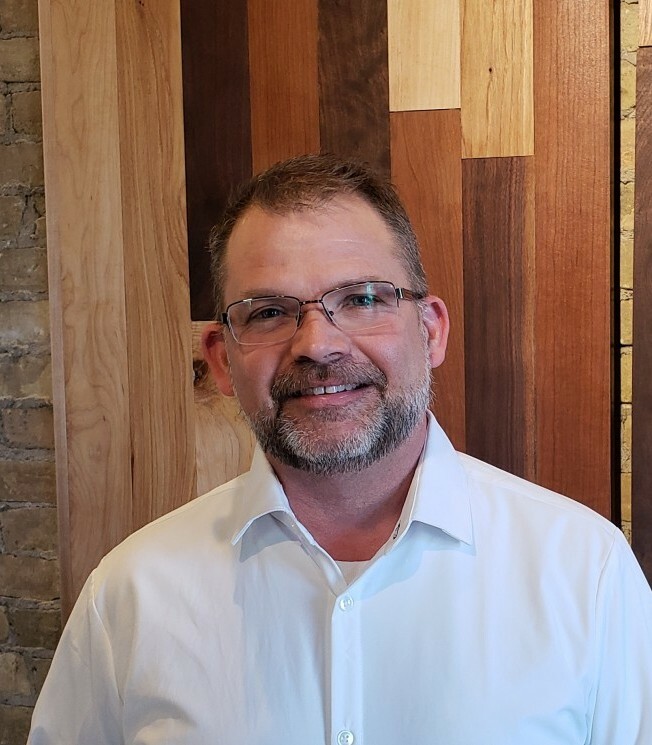 He graduated from the University of Southern Illinois–Carbondale in 1992 and is currently an active member of the American Institute of Architects. He continues to educate himself on the dynamics and evolution of building technologies, sustainable design, building codes and industry standards. Prior to beginning KONTEXT Architects, LLC, Mr. Thompson was, from 2001-2008, Principal Architect and Director of Design at Facility Engineering, Inc. in Madison Wis. His skills and expertise in contextual design, historic restoration and building envelope technologies, and complex project management grew a discrete, yet highly regarded architectural service. From 1997 to 2001, he was employed by Architecture Network, Inc. of Madison, Wisconsin. As Project Architect and Studio Manager, his talents were critical to the success of the firm’s most significant projects, including those historical in nature. Prior to 1997, Mr. Thompson enjoyed positive career experience with Huff Architectural Group, Inc., where his primary responsibilities included the daily management of the firm’s educational projects. Currently, as owner and Principal Architect of KONTEXT Architects, LLC, Kelly strives to grow a multi-disciplined architectural firm focused on relationship building, responsible design and environmental stewardship.